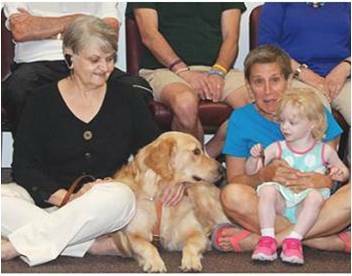 Bucks County Association for the Blind and Visually Impaired | Transform the Vision of Tomorrow! Transform the Vision of Tomorrow! With your help we can constantly change the lives of children, families, and adults impacted by vision loss. Together we can create an environment that promotes growth, opportunity, and independence for people of all ages living in Bucks County. : Get Our Monthly Newsletter! Donate 100% - Add 3% so that 100% of the donation goes to Bucks County Association for the Blind and Visually Impaired. Bucks County Association for the Blind and Visually Impaired has partnered with Network for Good to securely process your online credit card payment via Network for Good (tax ID 68-0480736). This transaction will appear on your credit card statement as "Network for Good." This transaction is subject to Network for Good’s Privacy, Security & Disclosure Statement and the Charitable Solicitation Disclosure.